Tangerine in a hand cream is a good ingredient to repair and revitalize dry hands. Tangerine oil helps the absorption of vitamin A, which protects the skin from damage caused by free radicals. Put a peeled tangerine in a blender. Mix with 1/4 cup olive oil, 1 teaspoon honey and a cup of sugar. Blend the mixture. Rub the resulting cream on your hands and arms. After that, cover both the arms and hands with hot towels and rest for 20 minutes. Finally wash with warm water. This Natural hand cream can help repair skin. You’ll need; 300 ml of mineral water, 2 roses and glycerine. Put the rose petals in a container with mineral water and close it. Stir and let stand 48 hours. Remove the petal and glycerine to it. Keep it in a jar and stir well. Apply it on hands before going bed. Washing your hands often or do household cleaning without gloves, the cause your hands to dry frequently. The following homemade hand cream can help moisturize dry hands. You’ll need 1potato, 1 or 2 tablespoons olive oil, 2 tablespoons milk and 2 tablespoons honey. You’ll cook the peeled potato, mash it then all the remaining ingredients. Apply the resulting cream two or three times a week. If you want soft hands, this recipe can help with that. You’ll need 1 cup olive oil, 1/2 cup coconut oil, 1/2 cup beeswax, diced, 1/2 teaspoon of vitamin E oil (if you have it in capsules burst open about 5 capsules) and 20 drops of your favorite essential oil (optional). Once you have all the ingredients, combine olive oil, coconut oil and beeswax in a glass jar pint. Now place the bottle in a water bath as follows: place the jar in a pot and pour water into the pot so you get more or less to more than half the bottle, being careful not to get water in the mixture oil. Put it on the stove over medium / low. Heat and stir until it melts. Let cool to room temperature. While cooling, stir vigorously every 10 or 15 minutes. When it’s cooled, add vitamin E and the essential oil. That’s it. 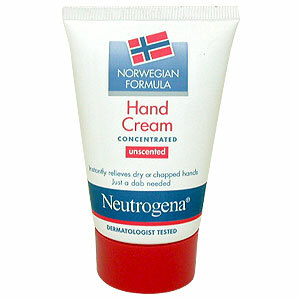 You have yourself a hand cream to soften your hands. Melt a stick of paraffin in a double boiler. Let it cool slightly. Put olive oil in your hands and put them in paraffin (wait until its not too hot to burn your hand, test the temperature first). With your hands covered with paraffin wait 20 to 30 minutes until the wax hardens. After that, remove the paraffin and you’ll notice your hands start to appear soft and rejuvenated. I hope these amazing quick homemade recipes will offer you alternatives to the on the shelf hand creams. The amazing thing about these recipes is that it makes the whole ordeal and experimentation of treating your hands fun along with finding the right product for you individually. You can also also read about another method on making homemade face cream. 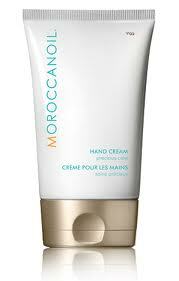 Can you Benefit from Moroccan Oil Hand Cream?